Module positions were suggestively named for an easier understanding of their location. The picture on the right explains their space orientation and arrangement. 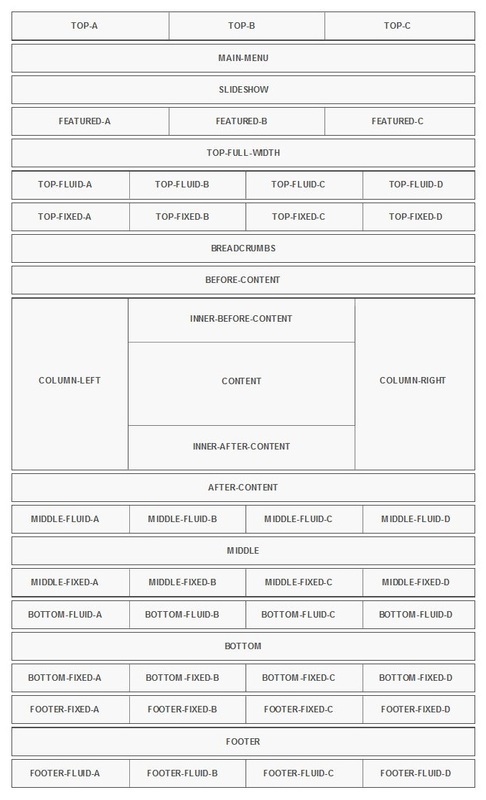 Top-A, Top-B, Top-C: These are used, in most cases, for the site's logo or / and search module. Footer: Place the page's footer here. Outer-Bottom: Best suited for the Social Links feature. Note: RSDinah! 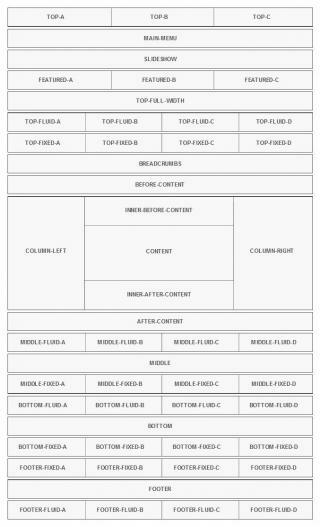 's module positions are fully customizable - they can be re-arranged by dragging and dropping rows of positions to the desired locations, in the Template Positions tab.